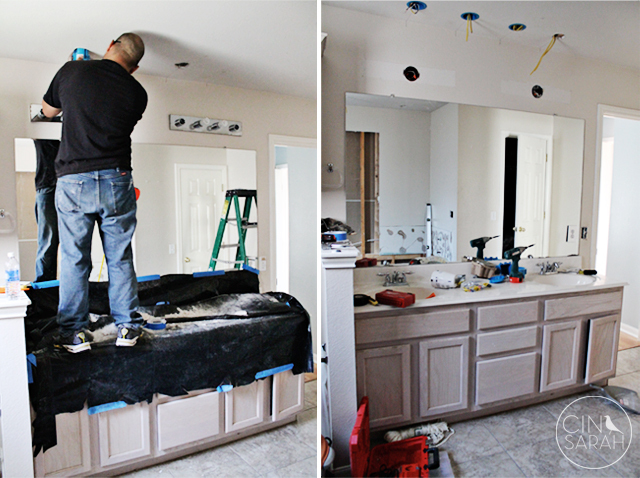 The remodeling process is LONG but I am sure it will all be worth it once it's all done. 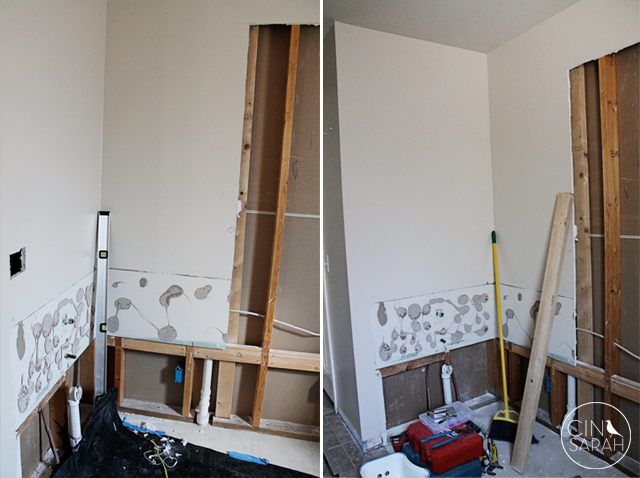 Our next step is building a half wall for the shower then plumbing, tile, glass, paint and so on. There's so much to be done! 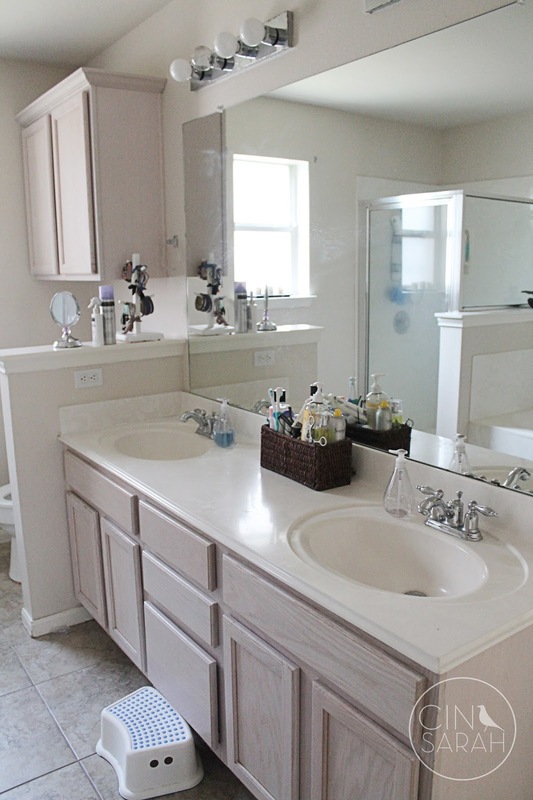 I am hoping we have our new bathroom ready by the end of the month of the beginning of June. Yay it's finally the last Tuesday of the month! So excited to be featuring Loved by Hannah and Eli today. 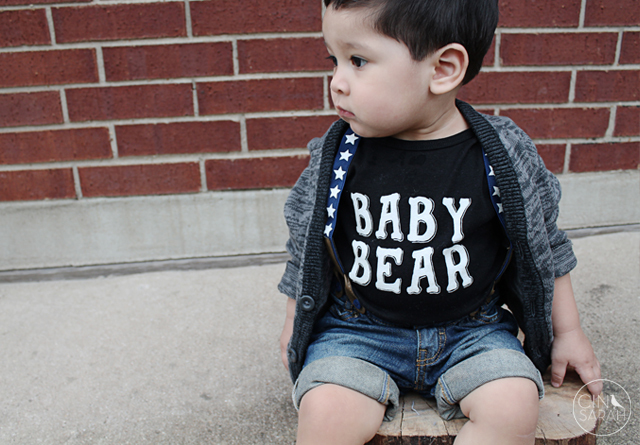 This baby bear onesie is perfect for Levi, he's my baby bear. I love everything about this onesie. It's so soft and it's black, I mean you can never go wrong with black! 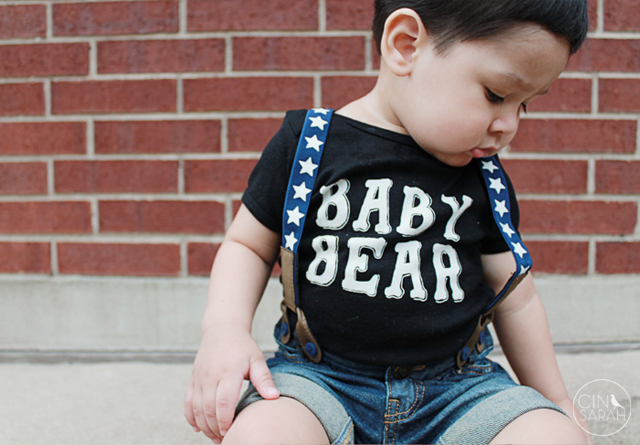 As soon as it arrived I knew it would be perfect with his little jean suspender shorts. The weather here in TX has been crazy as usual. We had been having such nice weather, sunny and in the high 70's - low 80's and then all of a sudden we got this cold front and rain. 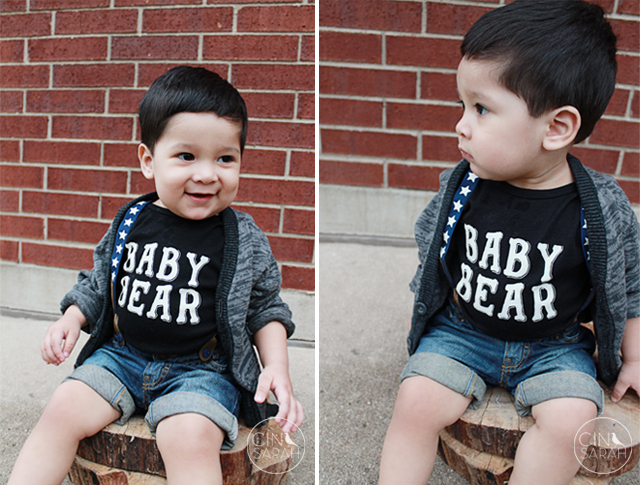 Cloudy days make for good photos though so we took advantage of a cloudy day and went out to our front yard to shoot Levi in his cute new onesie. 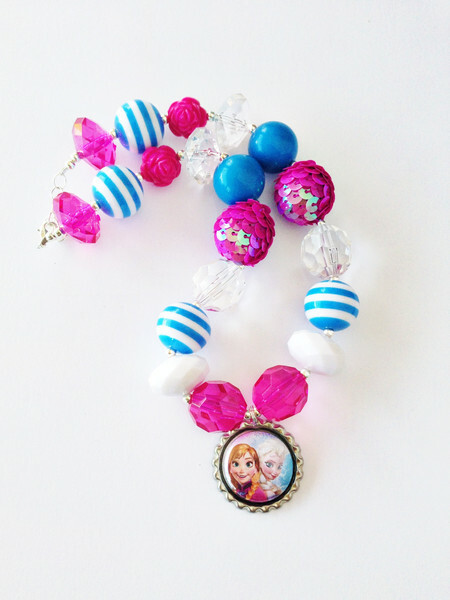 Link up with us for a chance to win some fabulous threads from Loved by Hanna and Eli! 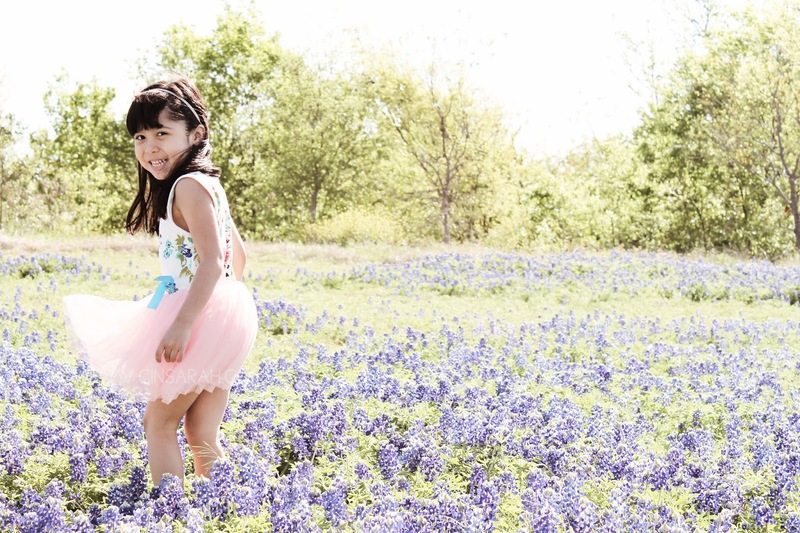 Don't forget to visit each of the hosts and co-hosts as we will each be featuring photos of our own kiddos. 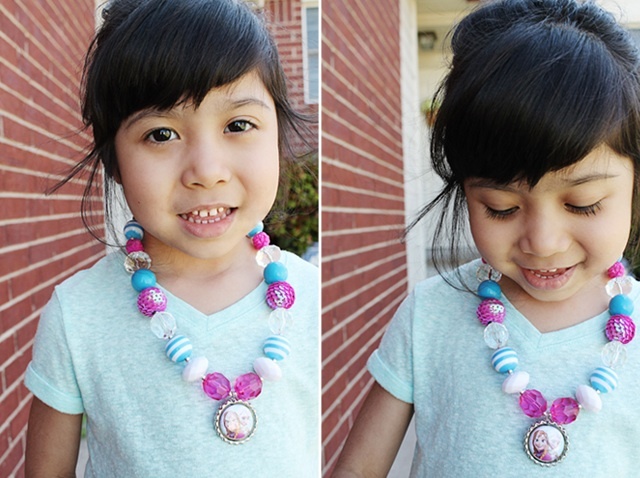 Make sure to visit Cindy's and/or Emily's blog to enter to win $30 in shop credit to Loved by Hanna and Eli. a Rafflecopter giveaway Are you a shop owner or blogger and would like to collaborate with us? Send me an e-mail! ...and we fell in love! Well I did, my husband wouldn't use those words but he really liked it. 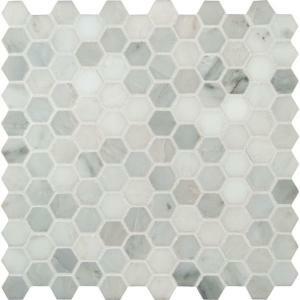 We plan on leaving the rest of our tile bathroom flooring in tact since we don't want to spend more money tearing it up and replacing it. 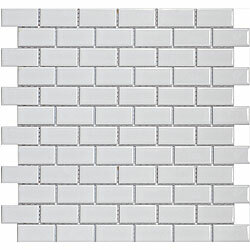 Plus it's not ugly and it should tie in nicely with the rest of the bathroom. 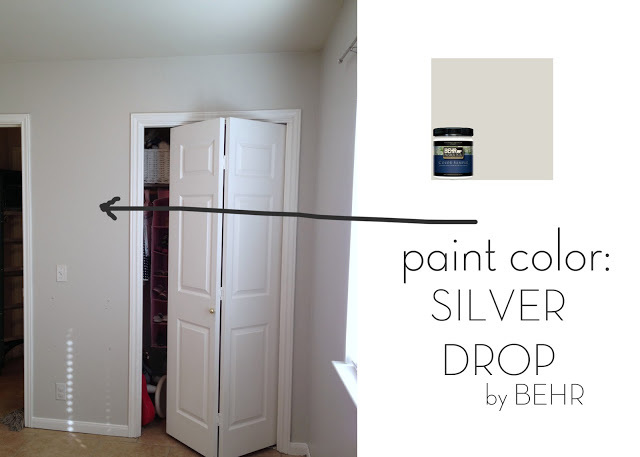 For the wall color we are going with Silver Drop by BEHR which is what we have on Sarah + Levi's room. I love it! It's the perfect shade of gray. 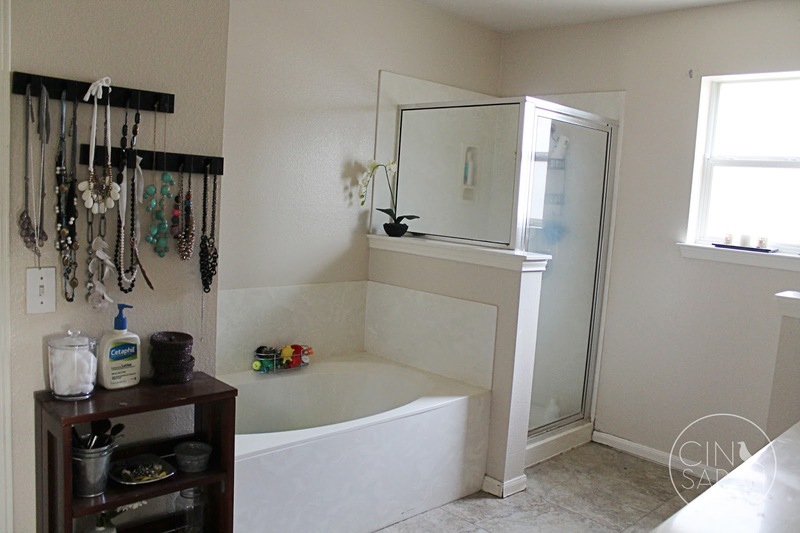 We already removed our old tub and instead of replacing it we plan on making our shower bigger and adding a bench seat to it. There will be some space left next to it which I plan on using as a vanity. A place to do my make up and get ready. I seriously can't wait! I am so ready to see it all done and share the pictures with you all. Our next step is plumbing and electrical. Thankfully my husband is an electrician and will do all of the re-wiring and installing our next lighting. We also have a friend who is a plumber who will be helping us as well. 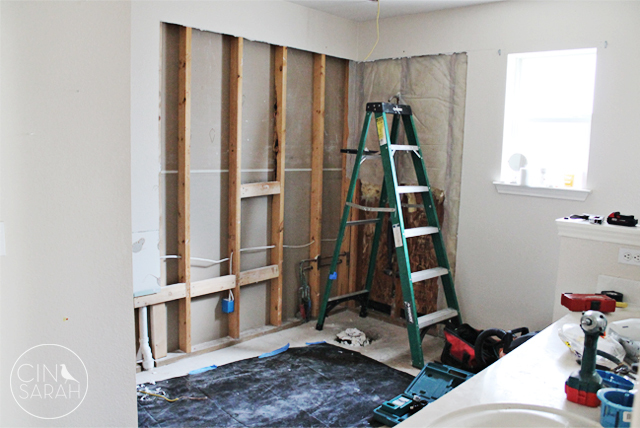 I will posts photos of the bathroom gutted soon! 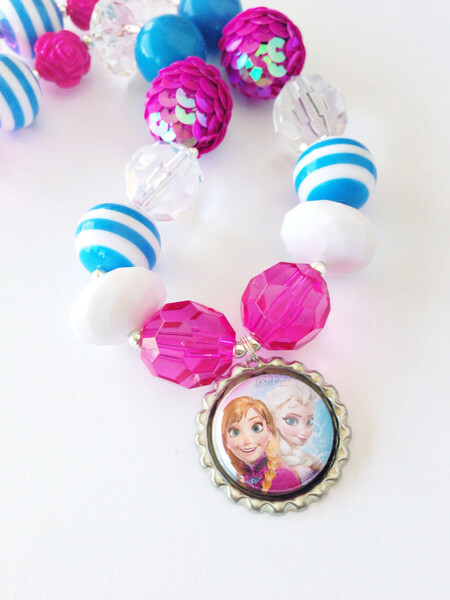 Frozen. Little girls + their moms all over are obsessed with this movie. I recently shared on instagram how I hadn't watched the movie yet. The week it came out I went over to a friend's house to craft. My husband was off that entire month of December and he decided to take the kids to see the movie without me. Yep, I'm still not over it till this day, I FINALLY watched it a couple weeks ago and LOVED it! The songs are so catchy! I've been singing them over and over. You can use code: CINSARAH15 for 15% of your purchase! 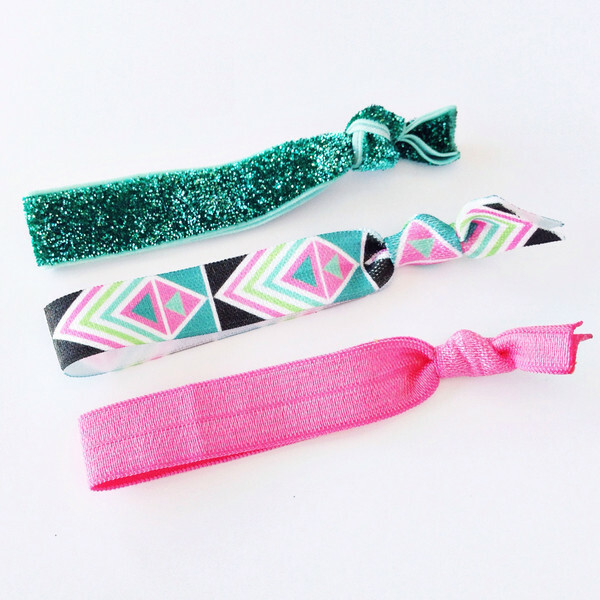 Thanks to The Glitter Revival one of my lovely readers get a chance to win $25 in shop credit! 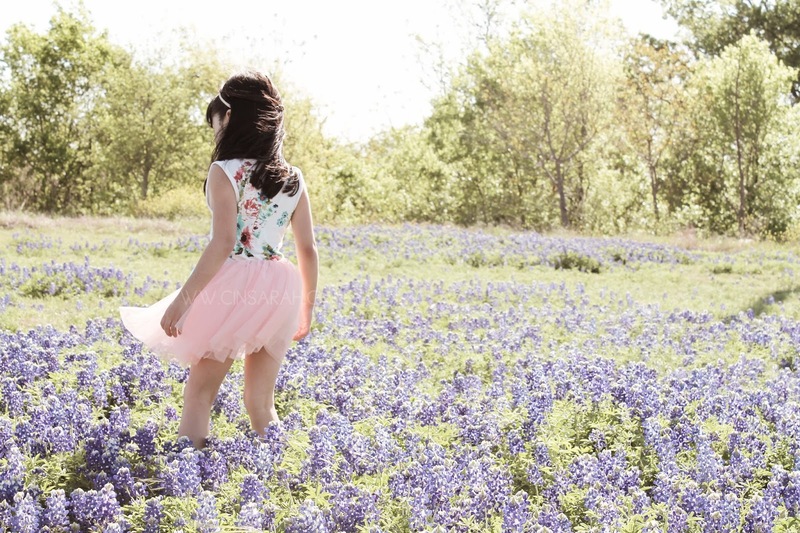 This post is part of a compensated campaign in collaboration with Evenflo and Latina Bloggers Connect however all opinions are my own. Once upon a time Joshua used to ride the bus. He started school when he was three years old and a little bus would come each morning to pick him up. He liked it and it was great because I didn't have to go anywhere. I didn't have to wake baby Sarah up. Well Josh started Kinder last year and we found out that the bus stop was now a block away and would no longer pick him up in front of our home. He also had to wake up even earlier and we would have to walk a block just for him to ride the bus. NO THANK YOU! That's when I decided I would drop him off and pick him up from school everyday. It was easy at first when it was just Josh and Sarah but then things got a little harder when Levi was born. I would have to wake up two kids and a newborn and put them all in car seats to drop off Josh at school. Josh is in first grade now and although it's still a bit of work getting all three kiddos up and ready I've come to get used to it. Levi seems to enjoy his new car seat so much he sleeps the whole way there and back. Comfy, cozy! One of my favorite things about Levi's new car seat which I mentioned in my previous post are the buckle pockets. These things are AWESOME! I unbuckle Levi and place the buckles in the pockets which help SO MUCH when it's time to go pick big brother up from school. No digging for buckles here! GROSS! Just keepin' it real. 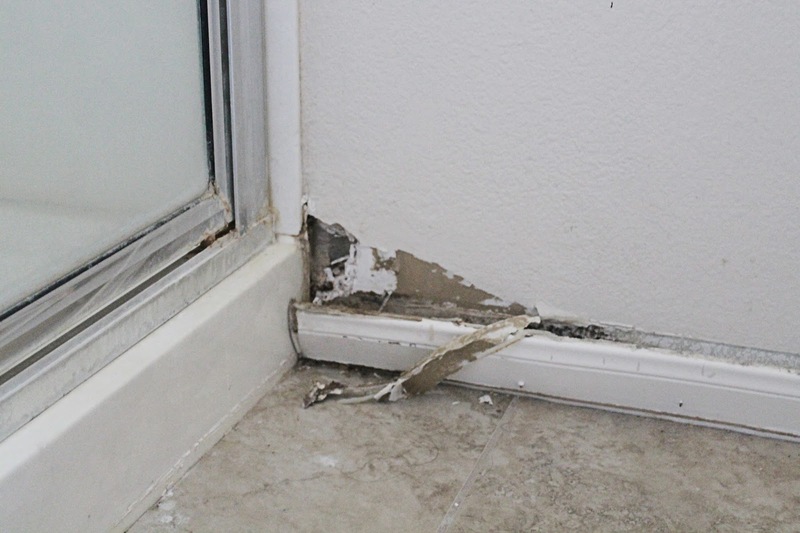 There's mold and rotting going on behind that wall thanks to a leak that's been on going for quite some time. Thankfully our insurance is covering it. So there's gonna be some fixing and changes to this bathroom. 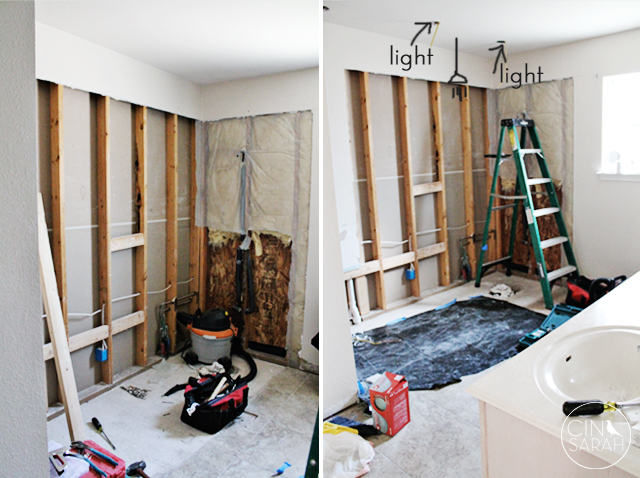 I am not sure how long it will take but I will be posting updates on the blog as we go. 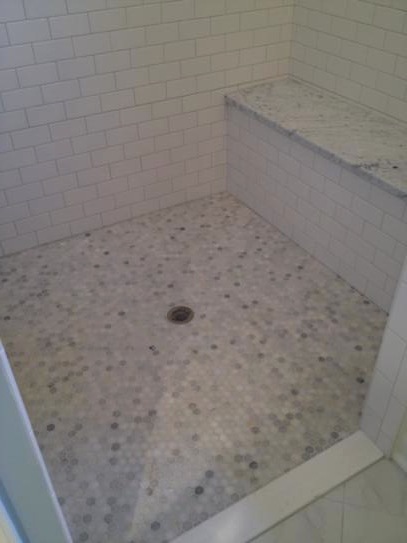 My husband is tearing up the shower this afternoon so I will make sure to take pictures of that as well. I'm excited! 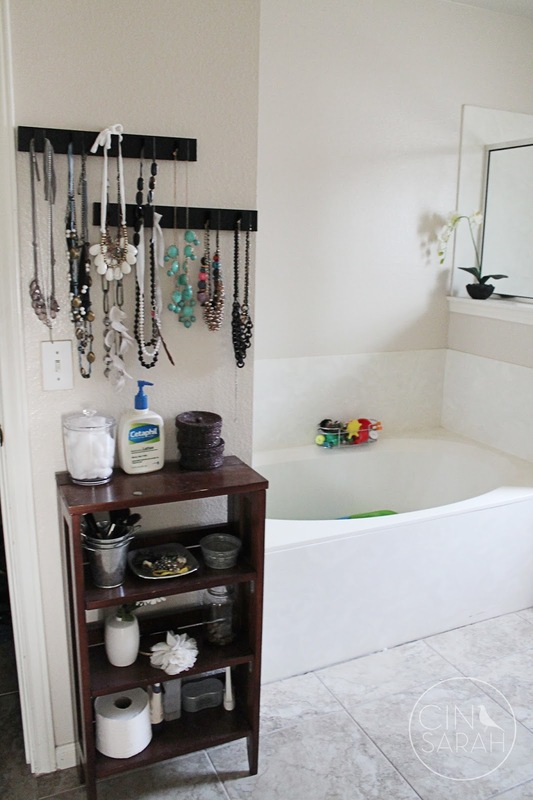 I've been pinning bathrooms like crazy on Pinterest. 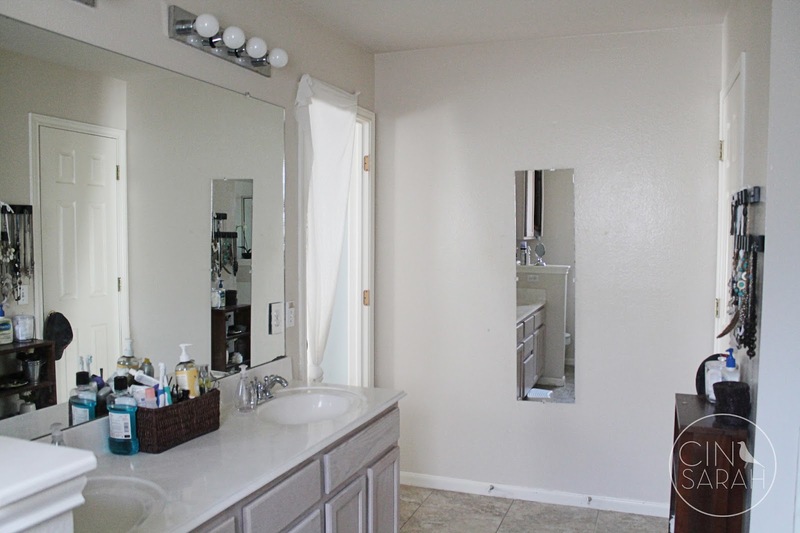 We have a few ideas of what we would like and I will share them on here soon but for now you can look at what our bathroom currently looks like which will soon be our before pictures! I'm so excited! More posts to come soon! 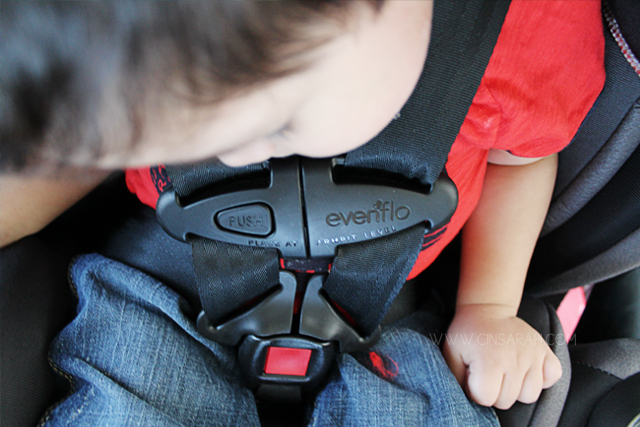 I received the Evenflo Symphony DLX Convertible Car Seat for review purposes but all opinions are my own. This is a compensated campaign in collaboration with Evenflo and Latina Bloggers Connect. Mr. Levi's got a new big boy car seat. A spiffy one I might add. The infant car seat he was in before was just a tad bit small for him and we were thinking about buying him a new one when we received this one to review. Talk about perfect timing! My first impression when I opened the box and saw the seat was "VERY NICE!" it looks so comfy and the fabric looks very high end. 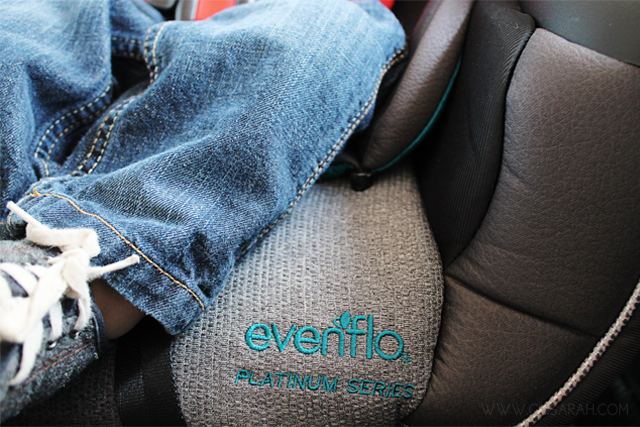 Evenflo is taking safety and comfort to the next level with the launch of Platinum Protection Series car seats which feature NASA-developed Outlast™ Performance Fabrics. Fancy! Evenflo believes a peaceful ride is a safe ride. Their new Innovative features are based on consumer insight – meeting the real safety, comfort and convenience needs of it's customers. Levi has been riding in his new seat for a week now and he's been so comfy in it. Let's break it down shall we? 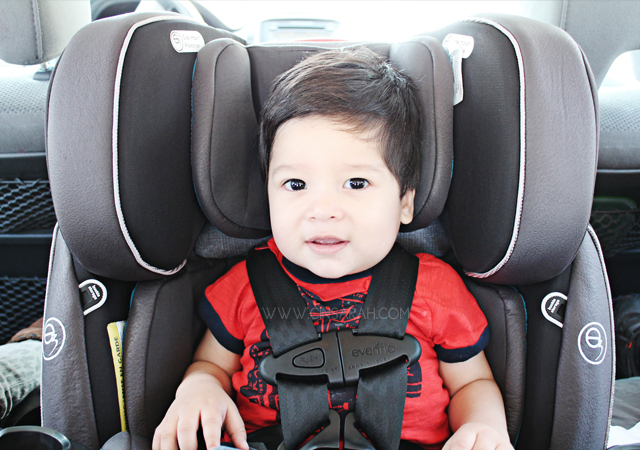 Let's go over the PROS + CONS of this car seat so that it helps those of you who are in the market for this type of car seat. 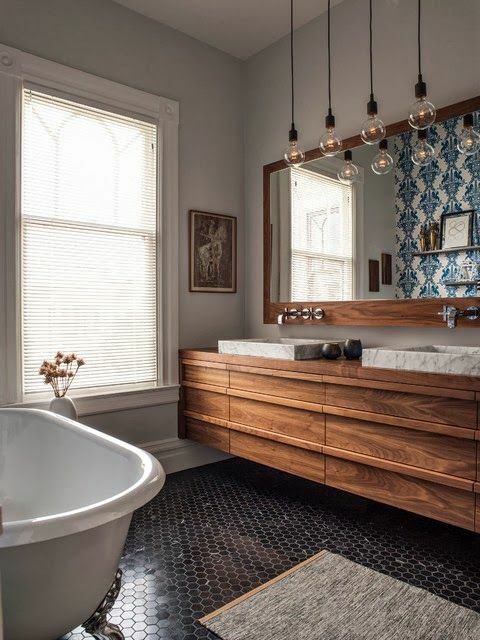 The fabric not only looks nice + modern it has a purpose! 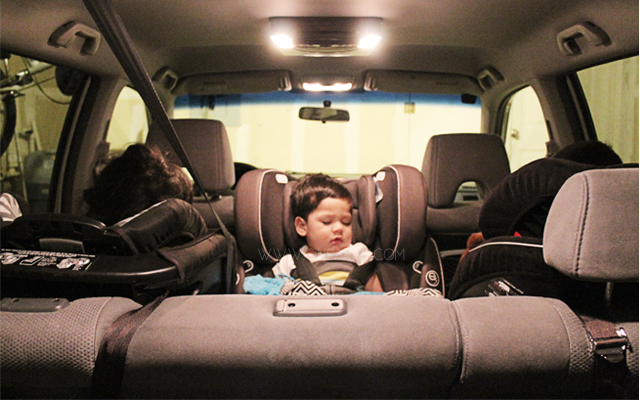 The Temperature regulating fabric in the padding of the seats are designed to keep babies and toddlers comfortable during hot or cold weather. That is perfect for us Texas folks! There's nothing worse than getting into your car and sitting on a hot seat. This fabric balances a child’s body temperature by actively absorbing and storing hot and cold temperatures and releasing as needed. It also reduces perspiration so the child stays drier and more comfortable, and mom can focus her attention on the road instead of an upset baby. These seats also feature innovative Buckle Pockets as another safety and convenience benefit. 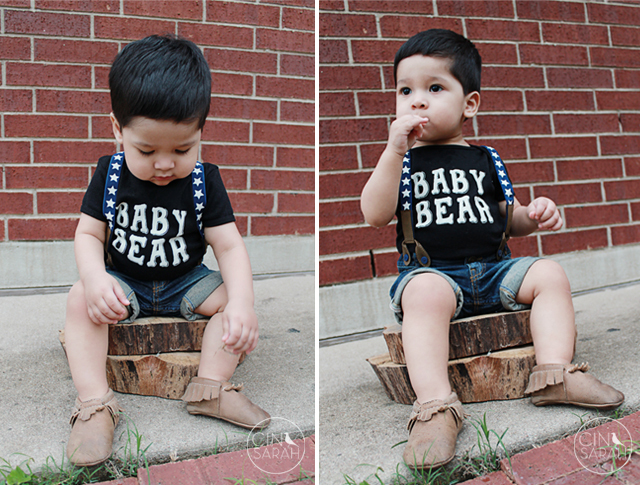 The buckle pockets allows moms to tuck the buckle tongues away which protects kids from hot buckle burns and also makes it easier and safer to get a child in and out of the seats. Another awesome feature for those of us Texans. Nobody wants burns from hot belt buckles! Especially not your littles. Advanced LATCH technology makes it easy for a secure installation: Just Click, Click, Push for super-fast, super-snug installation in less than 60 seconds (Symphony DLX and SecureKid DLX). This is a rather large seat. I wouldn't have a problem with this except we have three kiddos so we have three car seats side by side. They all fit together in the back seat but a bit snug. 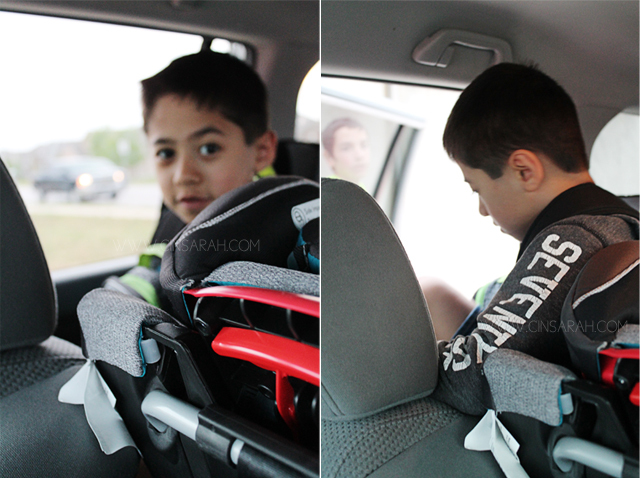 The car seat is quite bulky and makes it hard when installing next to other car seats only because of it's size. 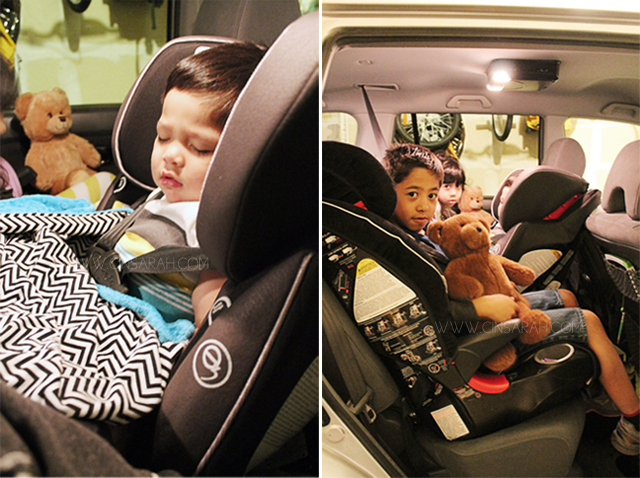 It's not a problem for those who don't have multiple car seats. That is my ONLY complaint. Overall we are VERY happy with our new seat! Levi falls asleep in it (as you can see) and seems so comfy. 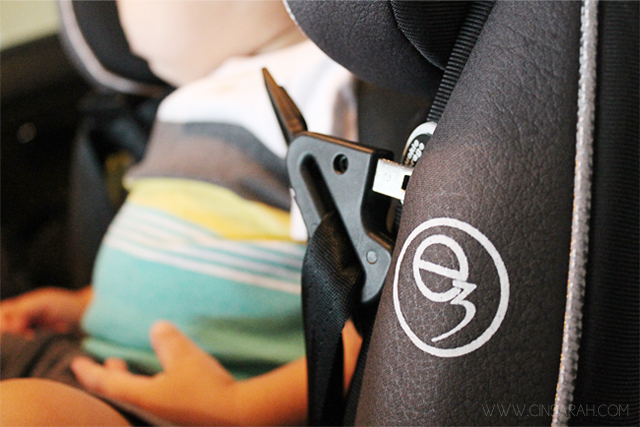 The Evenflo Symphony DLX Convertible Car Seat is Available online at Babies “R” Us beginning in March; and at stores nationwide starting in April. I will be sharing another post with more info on this car seat and maybe a video (if Levi is in the mood) for those of you who would like more info about this specific car seat. So make sure to check that out! Mother's Day is just around the corner! If you are a planner like me then you are already thinking about what to get your mom. 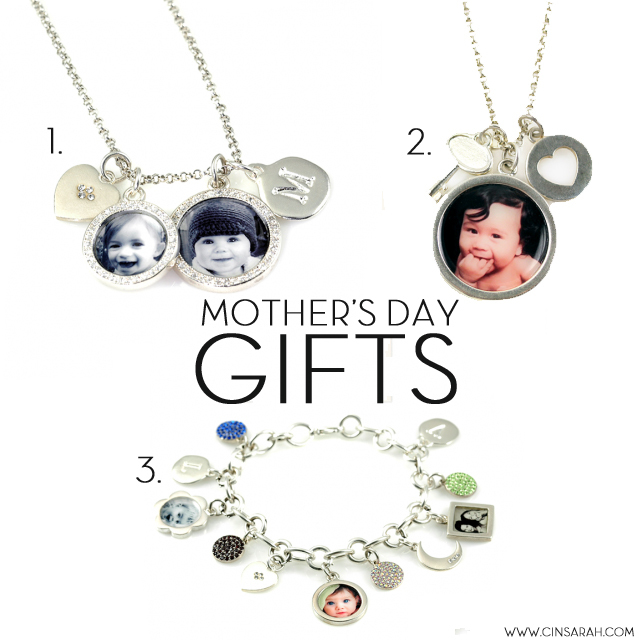 I've got the perfect gifts for the moms in your life! 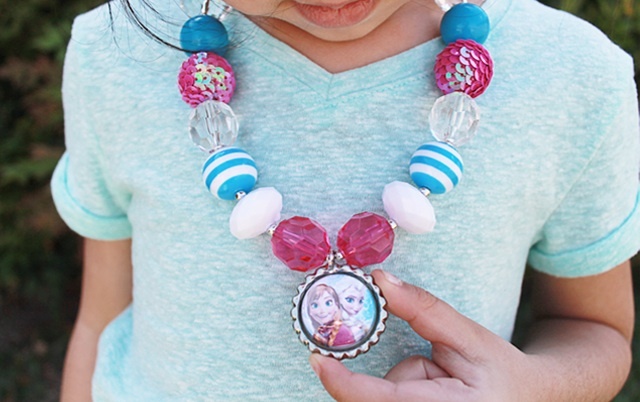 Whether it's your own mom, your sister or your bff these beautiful photo necklaces and bracelets are sure to be winners. 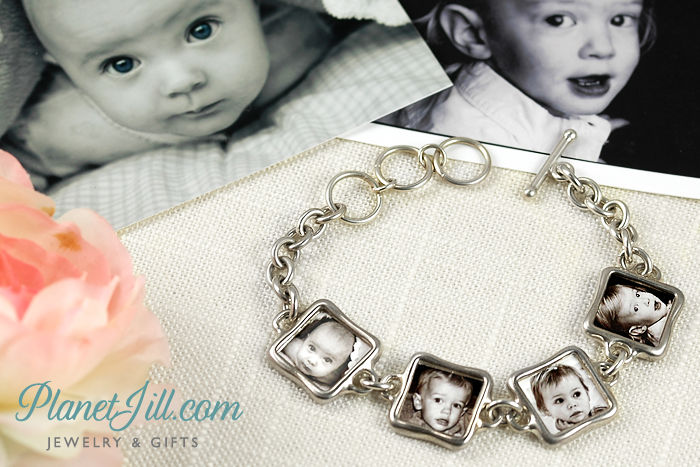 Founded by stay-at-home mom, Jill Schiff, PlanetJill specializes in designing one-of-a-kind sterling silver elegant treasures with the faces of loved ones inside their handcrafted charms. 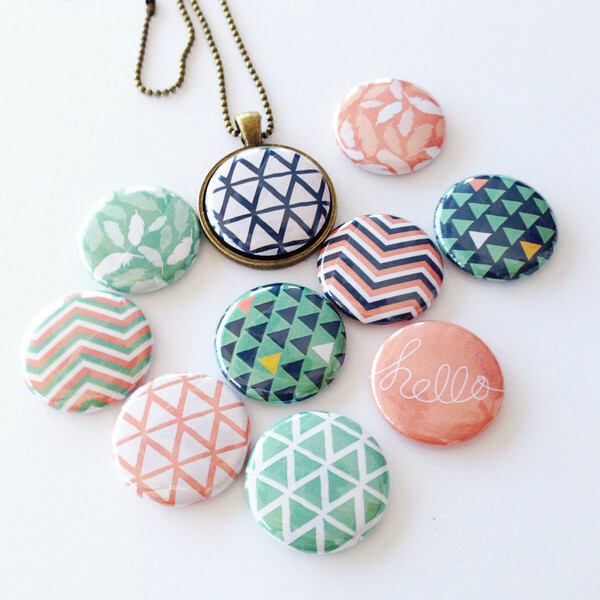 Choose from a beautiful line of designs, or use PlanetJill's Charm Builder to design your own unique necklace or bracelet. PlanetJill is the perfect Mother's Day gift, something that Mom will truly cherish for a lifetime. 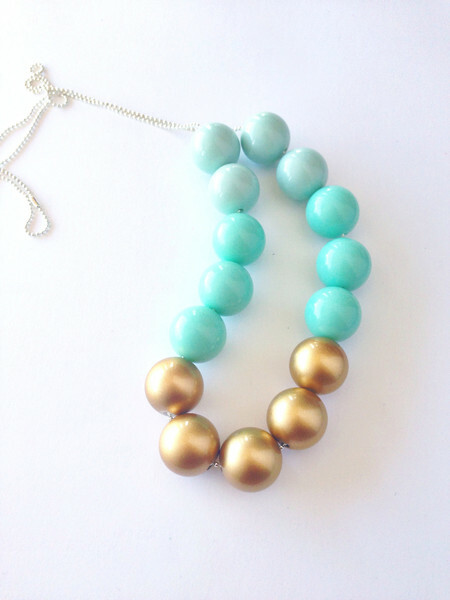 Use the code PJMAMA at checkout to get $10 Off your first order! And follow PlanetJill on Facebook (https://www.facebook.com/planetjill) for a chance to win weekly giveaways all month long! Happy Friday! 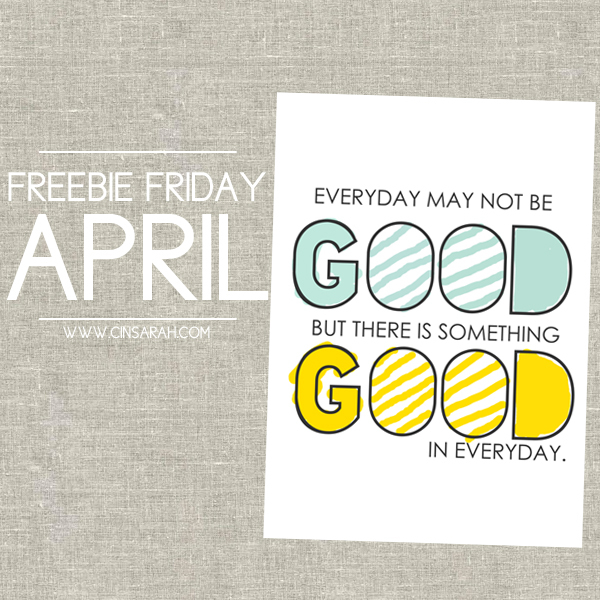 It's time for another Freebie Friday. This month I'm sharing a positive message printable. We have all had those days where it seems everything is going wrong. I know I have! 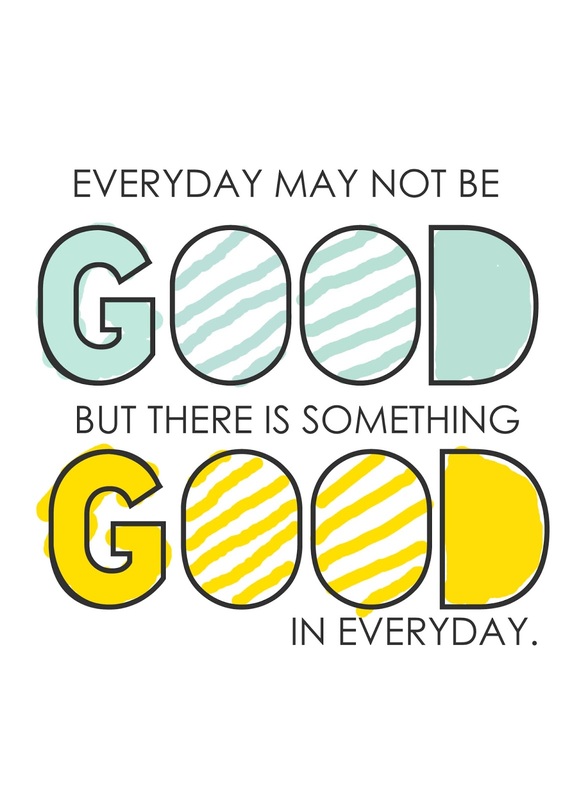 I found this quote when I was having one of those days and I'm so glad I did because it reminded me to stay positive, to be thankful for everything because even in those bad days I can find something good. I haven't printed this one because I ran out of colored ink but as soon as I can I will be printing it along with other positive messages that I plan to hang on my wall. You can download this 5x7 print by clicking on it and saving it to your desktop.